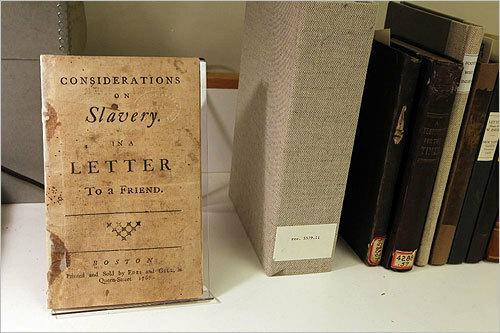 For more than a century, a vast trove of letters, newspapers, books, and pamphlets from Weymouths Weston sisters, who formed the Boston Female Anti-Slavery Society to rally for the abolition of slavery, was kept at the Boston Public Library. Thanks to a $600,000 anonymous pledge, the collection is being preserved and made available for the first time over the Web. Scroll through to see book conservators at work on the collection.